Ash Wednesday: Marks the beginning of the Lenten Season. March 6, services times 11:00 am and 6:00 pm. Palm Sunday: Celebration of Jesus’ triumphant return to Jerusalem. April 14, service times 8:00 am and 10:00am. Maundy Thursday: The Last Supper of Jesus Christ with his Apostles and the institution of Holy Communion. April 18, service times 11:00 am and 6:00 pm. Good Friday: Observance of the crucifixion of Jesus Christ. April 19, service times 11:00 am and 6:00 pm. Easter Vigil: A day of anticipation between the crucifixion and the resurrection of Jesus Christ. April 20, service time 5:00 pm. 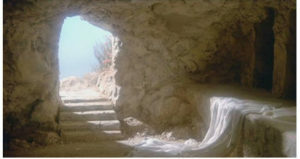 Easter: Jesus Christ is RISEN! April 21, service times 6:00 am., 8:00 am and 10:00 am. Advent: Midweek Wednesday services December 4, December 11 and December 1 Service time 6:00 pm. Christmas Eve: The evening preceding Christmas Day anticipating the birth of Jesus Christ. Services will be held Monday, December 24 at 6:00 pm (Family Service), 8:00 pm (Celebration Service), 10:30 pm (Candlelight Service). 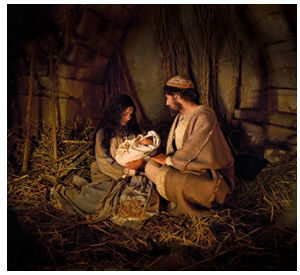 Christmas Day: Celebration of the birth of Jesus Christ. Service time will be 10:00 am.